Is great package design the silver bullet? In package design, no project is more daunting than a redesign of a leading national brand. Especially when that brand has established the category and is the sales leader. The conventional wisdom for a national brand redesign is to evolve the current look so you don’t confuse your customer base while trying to gain new ones. Redesigns can be a gamble – consider the results of Hain Celestial when they redesigned the packaging on the Celestial Seasonings tea brand and customers soundly rejected the new package design. Six months later Hain returned to the original design they had been using for decades in order to bring back customers. Hain spent $2.7 million on the packaging relaunch. That’s why Leland Maschmeyer’s presentation to the Raleigh AIGA on the redesign of the Chobani brand was so thought-provoking. 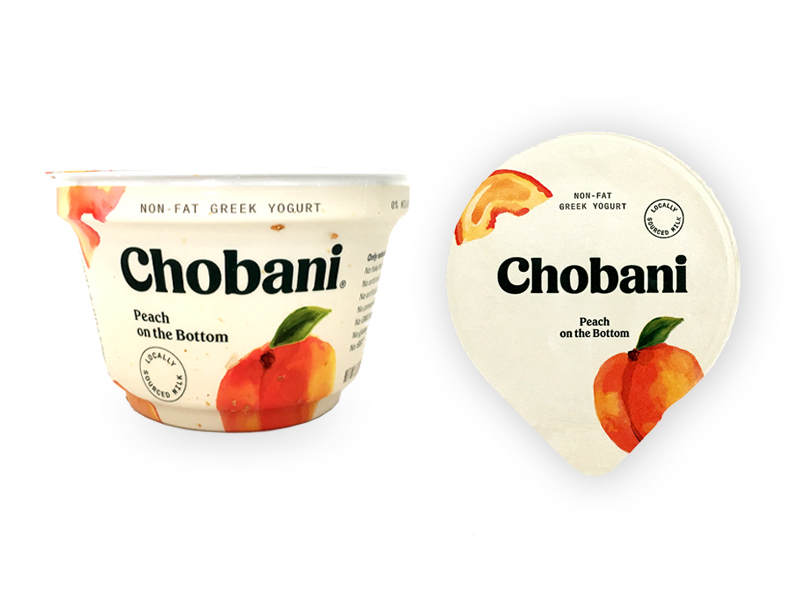 The Chobani redesign has been universally hailed by the design world and enthusiastically accepted by Chobani’s customers. Hearing Leland tell the story of how he and his team thoughtfully approached the project was a delight. The problem was too many imitators in the category and a package presentation that while popular, didn’t really convey the essence of the brand. Evolving the current look was not an option. Inspiration for the new packaging came from 19th-century American folk art, particularly quilt work from the Mid-Atlantic region. Chobani did away with product photography and instead used watercolor imagery that is intentionally imperfect to convey the brand’s values of natural and hand-crafted. “We always tried to make all the packaging feel like someone who lived in the land of happily ever after made it. Things are intended to feel more enchanting, they’re going to feel more heightened, they’re going to feel truly like they’re kind of sprinkled in fairy dust,” says Maschmeyer. Is great package design the silver bullet in retailing? Chobani’s results speak for themselves with revenue growing at a double-digit percentage rate this year. According to Euromonitor International, Chobani’s sales should exceed $1.84 billion this year with a 21 percent share of the U.S. yogurt market. Well done, Leland and your team at Chobani.